On October 2nd, we are joining 300 industry experts, airline and airport executives, government authorities and solution providers in Athens, to rethink the passenger’s experience! In one week, industry experts, airline and airport executives, government authorities and solution providers from all around the world, will gather in Athens to re-invent the passenger’s experience. We are thrilled to be part of this adventure! The number of air passengers increases every year and is set to double by 2036 to reach close to 8 bn*. Customers' expectations in terms of comfort, quality of service, safety and real-time information such as baggage tracking are also growing forcing the industry to completely rethink the passengers' experience. This will be at the heart of the Global Airport and Passenger Symposium (GAPS)'s agenda where experts and partners will discuss and explore how future needs, trends and solutions will shape the way we travel. As part of the discussions will be the IATA resolution 753 for baggage tracking. In June 2018, IAIA announced that RFID bag tracking should be rolled out by 2020. IATA resolution 753, what does it entails? Why RFID for bag tracking? Each year, 23 million bags get mishandled resulting in an estimated $2.3 bn loss for airlines and dissatisfaction for customers*. IATA has chosen RFID as the best solution to this issue, confirming that the technology can achieve a read rate of 99 - 100%. and could reduce the number of lost luggages by up to 25% by 2022, with an estimated combined savings of $3 billion over the next 7 years*. More than a cost saving exercise, the implementation aims first of all at improving the customer experience. According to SITA’s Passenger IT Trends Survey, 64% of travellers said they wanted to track their bag in real-time via information sent directly to their mobile phone. 62% also said that they would like a notification that alerts them when their bag is ready to collect. RFID will allow airlines and airports to automate their baggage process and improve their performance. They will be able to capture and share baggage data in real-time fulfilling their customers' requirements. Paragon ID already supplies a wide range of products from passenger handling items such as boarding passes and baggage tags to printed communication including airport signage. Our expertise in RFID and our experience in the aviation market make us the ideal partner to support airlines and airports in the implementation of IATA's resolution 753. We have already developed a RFID tag in line with our customers' requirements. 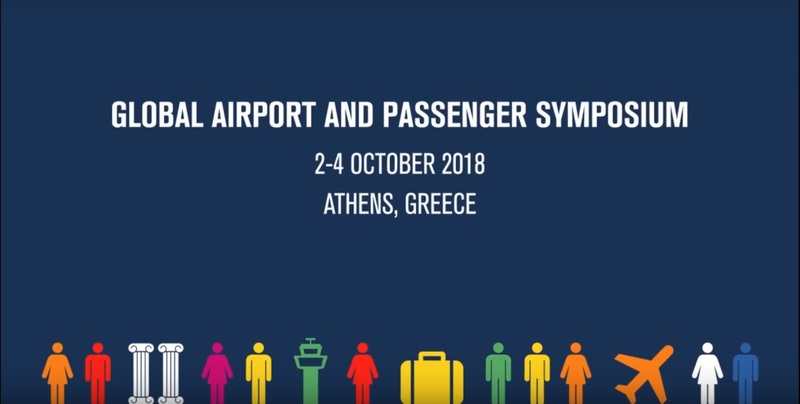 Come and meet us at stand 3 at the Global Airport and Passenger Symposium, October 2 - October 4, 2018, Athens. To find out more about our solutions to the Aviation sector and RFID luggage tags, fill in the form below.